Working with us, you will play a part in building a better bank that fulfils a meaningful role in society. We aim to help our 11 million customers around the world improve their lives and reach their goals. To do that, meeting our customers’ changing needs and offering them the best possible service is central to everything we do. 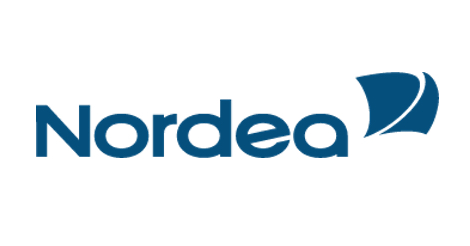 Nordea is the largest financial services group in the Nordic region, one of the biggest banks in Europe. Our four Nordic home markets - Denmark, Finland, Norway and Sweden – together form the tenth largest economy in the world. We want to make a real difference for our customers and for the communities in which we operate, by sharing our extensive expertise based on 200 years in the banking business. We strive to find the financial solutions and experiences that best suit our customers' needs so they can achieve their goals and realize their dreams. When our customers succeed, so do we. We have an ambition to enhance our customer satisfaction across entire organization. Our main challenge today is to understand better what drives our customer satisfaction and estimate what impact changes in customer satisfaction have on our bottom line, before we can take measurable actions towards enhancing it. First, we need a deeper understanding of the main drivers that impact our customer satisfaction, that would allow us to direct resources to the most impactful efforts and, therefore, to close the gap to competitors as well as attract & retain customers. A crucial step towards this is to find the most important 3-5 drivers impacting customer satisfaction. Second, we need to generate strong evidence linking these drivers to relevant outcomes (e.g. earnings, customer retention) which would help us justify larger investments internally into customer satisfaction. In tandem with ongoing internal initiatives in this area, we need your help in creating new ideas to explore these linkages and generate reliable evidence to support them. Overall, we expect you to challenge our existing models and thinking. It is also very important that you focus both on drivers and financial impact of improvement to help us most the most. You will have all the necessary access to relevant data and specialists required for this. Together with Customer Experience, Group Data Management Office, and Investor Relations, we would expect validated insights on the determinants and outcomes of changing customer satisfaction delivered as presentation and managerial report. For this project we look for motivated Master Thesis student or a group of two. We are open for different approaches to this case therefore students from various educational backgrounds (Entrepreneurship, Finance, Sociology, Data, Behavioural Science, etc.) and universities in Denmark, Sweden, Finland or Norway are open to apply with their proposal. To successfully go through this project, you would need to possess a good understanding of quantitative analysis. Moreover, you would need to be capable of understanding – and thinking constructively around measurements/metrics for – central business themes and challenges, including customer experience, satisfaction, and financial outcomes (earnings, churn, etc.). To support you through this project, you will have an access to all relevant data and we will provide you with options for active data collection with customers, advisors, and potentially other relevant actors. Moreover, you will be part of a team of specialists, who will be able to assist and collaborate with you to answer questions and provide input on ideas, analyses, and your project at large. There is also a possibility for you to get hired as 20h/week student assistant while doing your thesis in one of our locations in Denmark, Sweden or Norway. Note that the selected students will have to sign a formal contract in ADS/GDMO to get the needed access to data. The applications are being reviewed on an ongoing basis and we will close the case once the right student match is found.